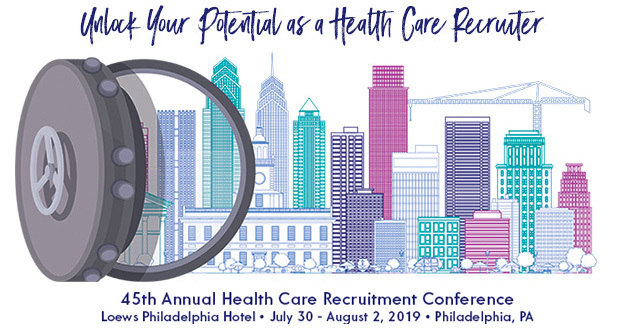 NAHCR is seeking nominations for a President-Elect, two Directors and a Vendor Member-at-Large to join the 2019-2020 Board of Directors. Additional information regarding the board members’ roles and responsibilities is available here. Each person nominated should have a broad experience base in the field of health care recruitment/retention. Previous organizational experience at the local, state, regional, or national level as an officer, area representative, or committee chair is a plus. Nominees for President-Elect and the Director positions must be current Active or Federal members of NAHCR for at least one year prior to the date of nomination. Nominees for the Vendor Member-at-Large must be current Vendor members of NAHCR for at least three years prior to the date of nomination. Nominees for President-Elect must have at least one year’s recent experience on the Board of Directors and be CHCR-certified. Nominees should demonstrate leadership ability and support NAHCR goals and objectives. Nominees must have written support of his/her supervisor in order to appear on the final slate, uploaded in the online Call for Nominations or emailed to NAHCR Headquarters at [email protected]. Additional information regarding the knowledge, skills and abilities required to serve as a NAHCR board member is available here. You may choose to self-nominate or be recommended to run for a board position. Either way, you must meet all requirements for the position. Complete the online Call for Nominations. Upload demonstrated support from your supervisor or email it to NAHCR Headquarters at [email protected]. If you choose to self-nominate, you will also need to provide a written recommendation from an Active, voting NAHCR member, in addition to the demonstration of support from your supervisor. Call the person you are recommending and confirm that he or she is willing to serve. Confirm the telephone number at which the individual can best be reached, as a representative of NAHCR may call the individual during normal business hours, in the evening or on weekends. Nominations must be submitted by Wednesday, April 17, 2019, at 11:59 pm PDT. Elections are anticipated to run from April 19 – April 25, 2019. The President-Elect shall be elected for a one‐year term and shall be eligible to serve for one additional term. Following his or her term, the President‐Elect shall assume the office of President for one year and shall be eligible to serve for one additional year. The top two vote-getters among those nominated for the Director positions will be elected for a two‐year term of office and shall be eligible to serve for one consecutive term. The Vendor Member-at-Large will be elected by the voting members of the 2018-2019 Board of Directors. An announcement regarding the results of the NAHCR elections will be made to the membership around April 30, 2019.